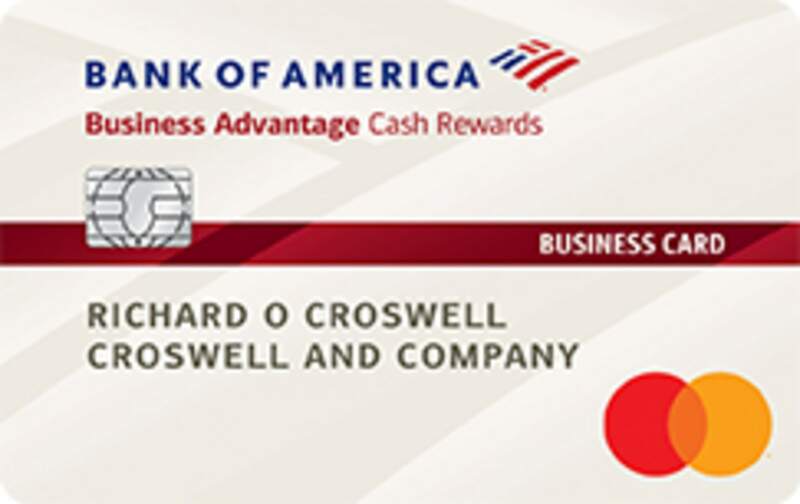 The Bank of America® Business Advantage Travel Rewards World Mastercard® credit card is an excellent travel card, offering a solid 3X points per dollar spent through the Bank of America Travel Center and a fair 1.5X points per dollar on all other purchases as well. However, what makes these point values even more impressive is the fact that this card has absolutely no annual fee. Despite not having an annual fee, the point system rivals those of luxury travel cards and other general rewards cards. The Bank of America® Business Advantage Travel Rewards World Mastercard® credit card serves the role of a travel card excellently. You will be able to earn 3 points per every dollar spent on travel purchases (car, hotel or airline) booked through the Bank of America Travel Center. Beyond this, you will receive unlimited 1.5 points for every dollar spent on all other purchases. Therefore, not only will it serve as a great travel card, but it will also function as a solid all-around rewards card given its consistent points rate across all categories. There is also neither an annual fee nor any foreign transaction fees associated with the Bank of America® Business Advantage Travel Rewards World Mastercard® credit card. The card also provides you with the opportunity to earn a considerable bonus if you meet the qualifications. Fortunately, the conditions for the bonus are very easy to achieve. If you spend at least $1,000 in net purchases in the first 60 days of opening the account, you will be rewarded with 25,000 points. We believe that most businesses, large and small, will be able to achieve this minimum with relative ease. These bonus points can then be redeemed for a $250 statement credit going toward travel purchases, therefore returning 25% of the money that was spent to achieve the bonus. 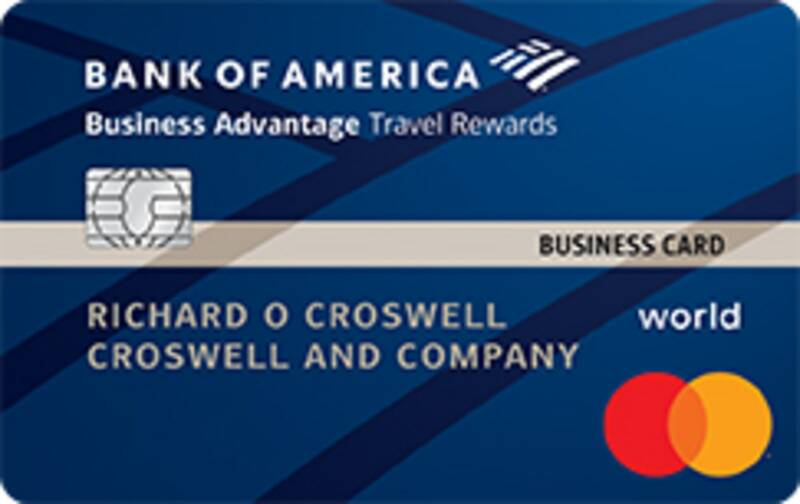 The Bank of America® Business Advantage Travel Rewards World Mastercard® credit card has a unique feature that members can enroll in called the Business Advantage Relationship Rewards program. This program consists of three different tiers: Gold, Platinum and Platinum Honors. Your placement into a tier is dependent on your three-month average combined balances in your qualifying Bank of America business deposit and/or your Merrill Edge or Merrill Lynch business investment accounts. The greatest takeaway is higher tiers result in more rewards points. If your businesses qualifies for Platinum Honors, they will receive a 75% Rewards Bonus on the base earn for eligible business credit cards. In other words, businesses have the potential to earn 2.62 points, from a base of 1.5 points, on all purchases outside of travel. If the previous rewards points were great, then these new values using the Business Advantage Relationship are excellent, rivaling even some of the higher-end luxury business travel cards. These rewards points can then be redeemed for a variety of benefits. The points can be redeemed for statement credit to pay for flights, hotels, vacation packages, cruises, rental cars or baggage fees. In addition, the points can also be exchanged for gift cards or simply cash back. The flexibility of rewards, in conjunction with the high points-per-dollar rate when paying for travel expenses or in general when you are a Platinum Honors member, will provide great returns to cardmembers. If you need a travel rewards card for a small or midsize business, the Bank of America® Business Advantage Travel Rewards World Mastercard® credit card is a very strong choice. The only downside to the card is its requirement of excellent credit, but that is also a necessary requirement to apply for almost any business travel rewards card. The only other shortcoming is that some of the card’s competitors offer better rewards rates, but those same cards also demand large annual fees, so many of the advantages to a higher rewards rate is mitigated. We strongly recommend that most small to midsize businesses should apply for this card if it fits their needs of a high rewards yet low cost business travel card. 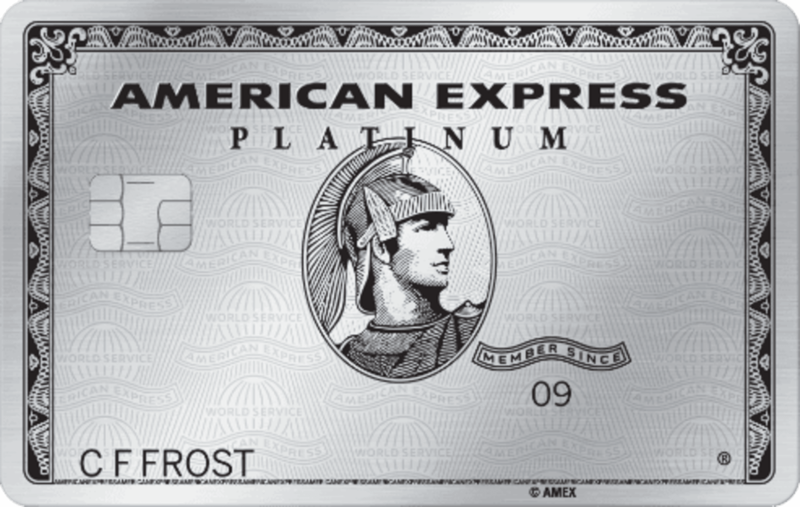 The Platinum Card® from American Express has an extraordinarily high annual fee of $550 (See Rates & Fees), which translates into an entirely different range of benefits and rewards. You will be able to potentially earn 5X Membership Rewards points on prepaid hotels booked on amextravel.com — one of the highest rewards rates across any card. In addition, there are many complimentary benefits from simply owning the card that are exclusive to The Platinum Card® from American Express. There is an up to $200 airline fee credit per calendar year. You can also earn up to $200 in annual savings by using the Uber app with this card. However, what may be the most appealing benefit for most people who choose to apply for this card is access to the Global Lounge Collection. This means you will be able to enjoy some of the greatest luxury travel amenities accessible, including entrance to the Centurion lounges and Priority Pass Select lounges. If you desire a luxury traveling experience, The Platinum Card® from American Express is irreplaceable. The Bank of America® Business Advantage Cash Rewards Mastercard® credit card is one of the premier business cash back cards available as it lets users earn 3% cash back in one of the following six categories: gas stations (default), office supply stores, travel, TV/telecom & wireless, computer services or business consulting services, 2% cash back on dining (for the first $50,000 in combined choice category/dining purchases each calendar year, 1% thereafter) and 1% cash back on all other purchases. Even better, the card has a sign-up bonus in the form of a $300 statement credit. In order to get the bonus, businesses will have to spend $3,000 in net purchases within the first 90 days of account opening. Relative to other existing offers on the market, this sign-up bonus should be relatively easy to hit by most businesses. The Capital One® Spark® Miles Select for Business is tailored for small businesses to capitalize on their travel expenses and maximize rewards. It is also worth noting that the Capital One® Spark® Miles Select for Business likewise demands no annual fee whatsoever. Using this card, your business will earn 1.5 miles per every dollar spent on any purchase. However, the Bank of America® Business Advantage Travel Rewards World Mastercard® credit card offers a stronger rewards rate. You will be able to earn 3X points on travel booked through the Bank of America Travel Center and 1.5X points on all other costs (if you are a member of the Business Advantage Relationship Rewards, then this number will be even greater). 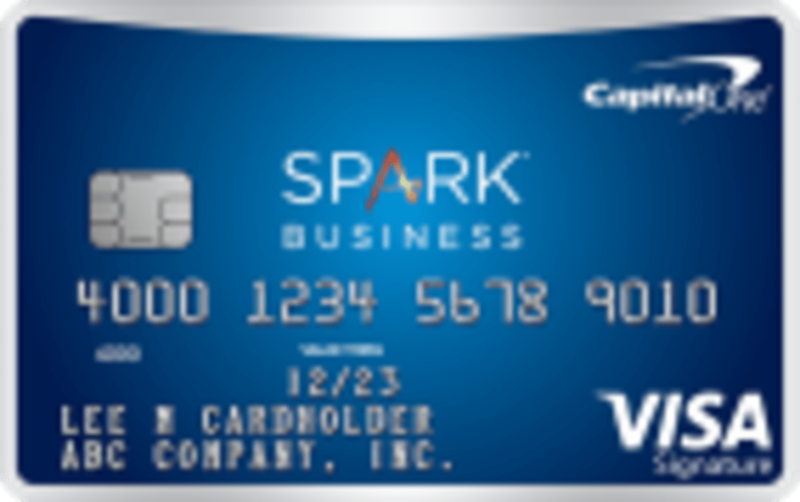 Ultimately, this means that while both cards may have no annual fees, the Capital One® Spark® Miles Select for Business is generally less rewarding than Bank of America's offering. The Bank of America® Business Advantage Travel Rewards World Mastercard® credit card is a strong choice for small to midsize businesses that want to capitalize on their travel expenses. The card offers a solid, one-time points bonus that we imagine would be easy to achieve. The rewards points rate is also great, and is further improved if you qualify for a higher tier membership in the Business Advantage Relationship Rewards program. The amount of value offered by this card at absolutely no annual fee is tremendous, and we would strongly recommend this card to you and your business if it fits your needs.